Sea Crow Island is one of the outer isles in Stockholm Archipelago. Not many people live there, not in the winter at least. 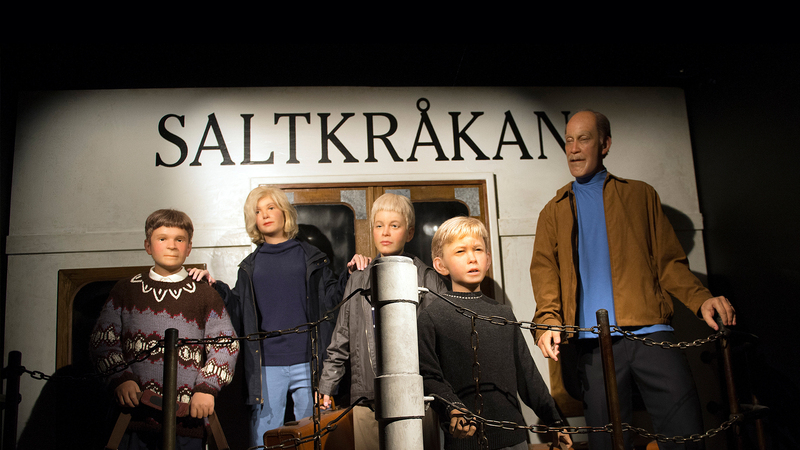 In the summer, the summer guests arrive, including the noisy Melkerson family with Skrållan, Malin, Pelle and Mr Melker. They are met by Tjorven, Båtsman, Teddy, Freddy and Stina who are permanent residents on the island. Together they enjoy long lovely summers on Sea Crow Island. Mr Melker is a wise and stubborn man who has learnt that summer is a time when children really are allowed to be children. But sometimes you may wonder if it isn’t really Mr Melker who takes the chance to be a child. Maybe he’s the one behind the most childish ideas and pranks. Otherwise he would probably never need to have been asked things like “Why do you always swim with your clothes on?” On Sea Crow Island, day-to-day life is about playing as you want, having the sea and nature around the corner and how happy you can be about that very thing.